Kelly, 1903, lists the head quarters of the Royal East Kent (The Duke of Connaught's Own) (Mounted Rifles) Imperial Yeomanry at 15 Gordon road. Also listed is the Regimental head quarters, although the address is St. Peter's street. B Company is also given as 66 Northgate street, and C Company at Wingham. 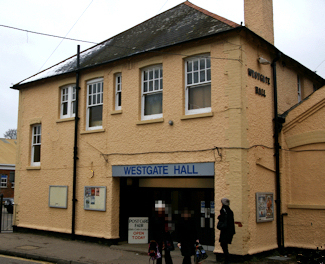 The drill hall on St Peter’s Lane, now called the Westgate Hall, is at risk. 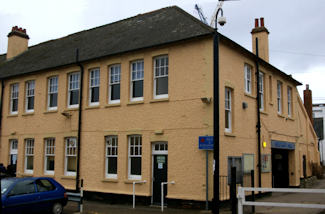 The building was taken over by the City Council in the early 1970s and has been well used as a dance hall and community hall for local clubs and societies, events, conferences and by the University of Kent. 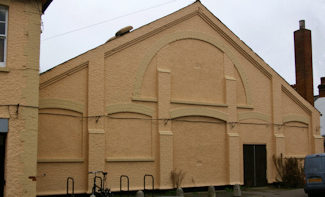 In January, 2010, Canterbury City Council finalised its budget cuts and recommended closure of the former drill hall and two museums. 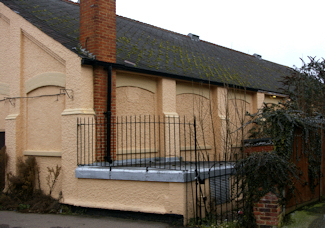 According to local sources, it will be demolished in April or May, 2010, to provide car parking spaces. 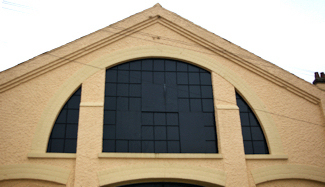 The Drill Hall project fully supports the moves to preserve the building. We will add further information to this page in due course. Thank you to Maurice Billingsley for taking the photographs. Note: there is also a petition to save the museums.